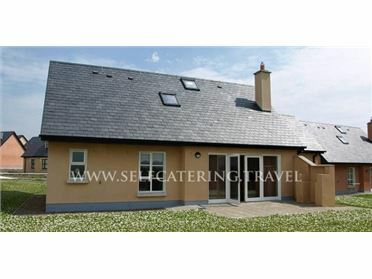 Railway View is a modern, detached cottage located three miles from Foulksmills in County Wexford. Set entirely over the ground floor, there's two doubles and one single bedroom, meaning up to five people can sleep comfortably. There's also a bathroom, a kitchen with dining area, a utility room and a sitting room. Outside, there is ample off road parking and an enclosed lawned garden to the front and rear with a rear patio garden with furniture. Railway View sits in a lovely area of Ireland, with plenty of things to see and do nearby, and offers a wonderful touring base for friends and family. The picturesque village of Foulksmills is in the heart of lovely County Wexford. 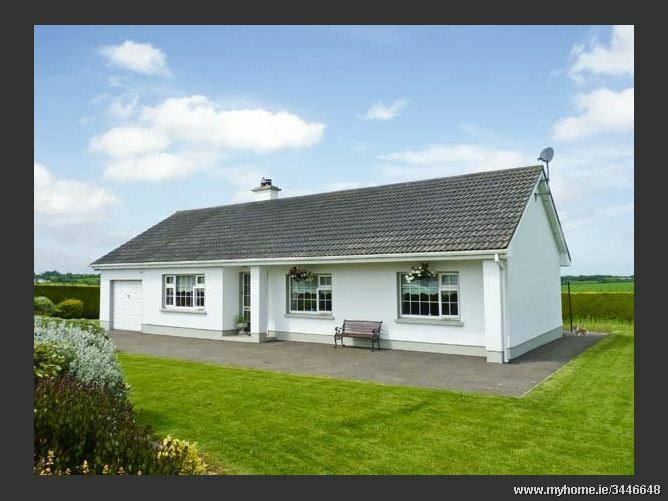 This part of Ireland offers great scope for relaxation, with plenty of charming villages and hamlets, with traditional pubs and shops, as well as the county town of Wexford, with all its amenities and Opera House. There are spectacular beaches (fourteen of them to be precise) on the Hook Peninsula, and plenty of golf course and glorious walks available inland. Oil central heating. Electric oven and hob, microwave, fridge/freezer, washing machine, dishwasher, TV with Free-to-air channels, DVD, WiFi. Fuel and power inc. in rent. Bed linen and towels inc. in rent. Cot and highchair. Enclosed lawned garden to front and rear with rear patio with furniture. Ample off road parking. Sorry, no pets and no smoking. Shop and pub 1 mile. .